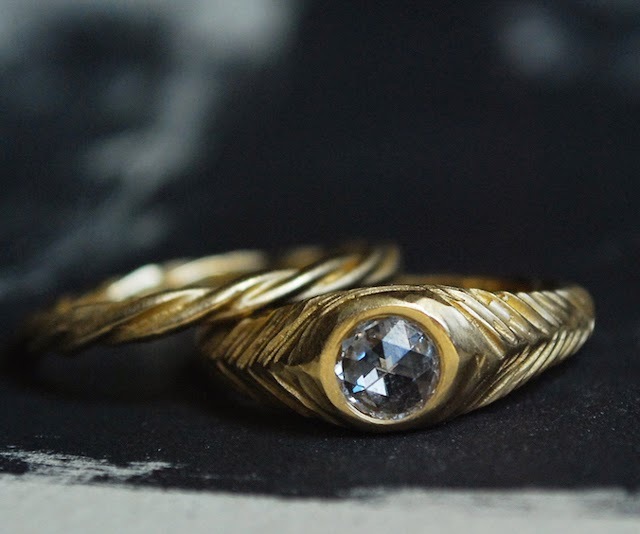 Mingling estate pieces with modern jewelry has become a signature wedding look at Metier. Here are a few of our favorite pairings, including a selection of bands for the gents. 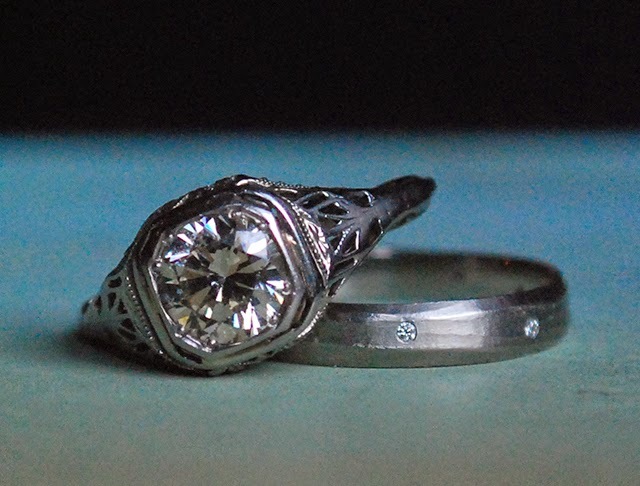 We are always drawn to stones that seduce with unusual cuts and settings with a-point-of view. 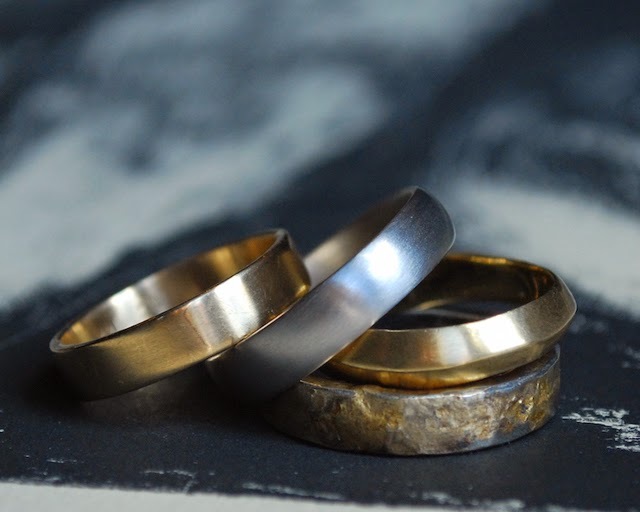 We prefer finely finished metals and handworked pieces. 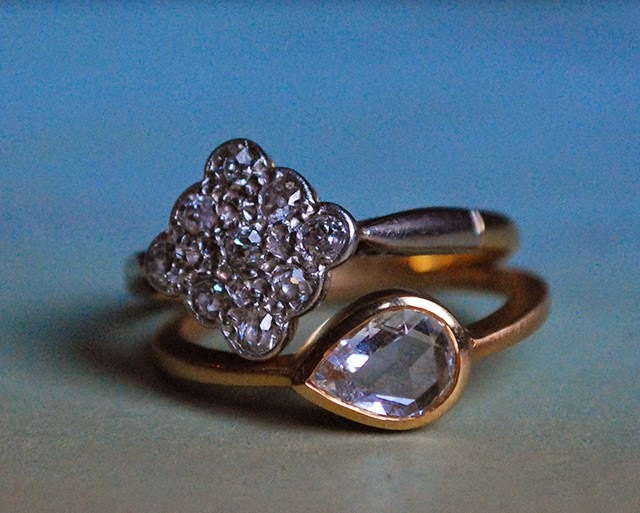 You can find more rings (and other jewelry) in our tiny shop in Hayes Valley and online at metiersf.com. 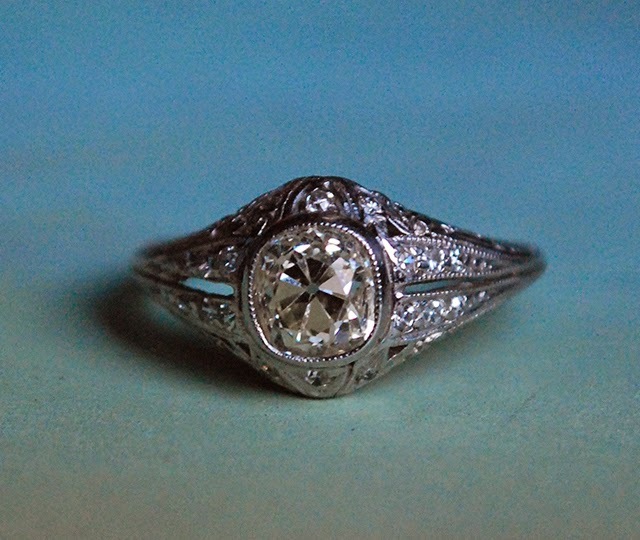 And if you don't see what you are looking for we are happy to help you hunt for your perfect ring. 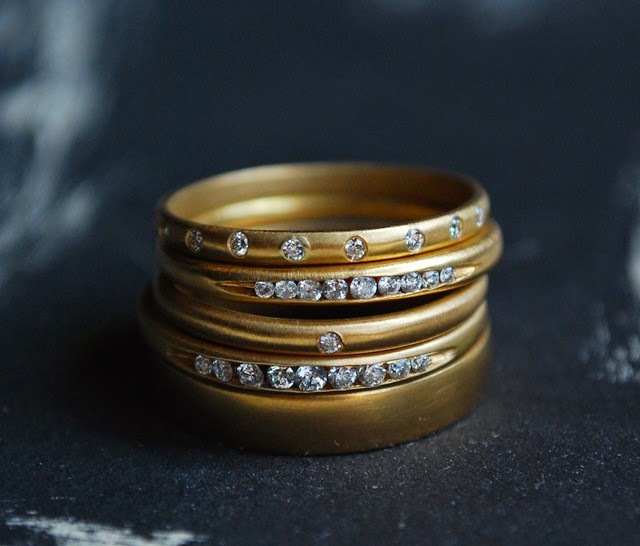 Gillian Conroy 18k Celeste Band, Slim Tapered Diamond Band, English Band, Slim Tapered Diamond Band, Classic Wedding Band.